Home » Learn the Fundamentals of Drawing with these Awesome Free Video Tutorials from Brandon Schaefer! 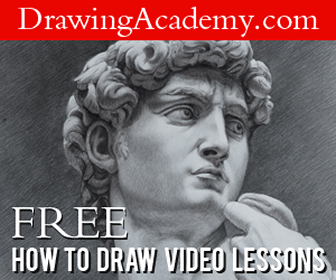 Are you just getting started with drawing or perhaps need to brush up? Then you will definitely find the following videos extremely helpful. The videos below were created by artist Brandon Schaefer. There are 11 video lessons in total that include everything from choosing the right supplies to perspective and proportions. I hope you find these videos helpful! Be sure to visit Brandon’s youtube channel for more great art lessons! Check out his website as well!